Transformations, makeovers, and overhauls make me feel like a 5-year old on my way to Disneyland. Transforming a space is refreshing. No, exhilarating! Home Transformations remind me of the makeover montages of every brilliant romantic comedy. The physical change signifies a mental shift in the main character. It signifies progress. 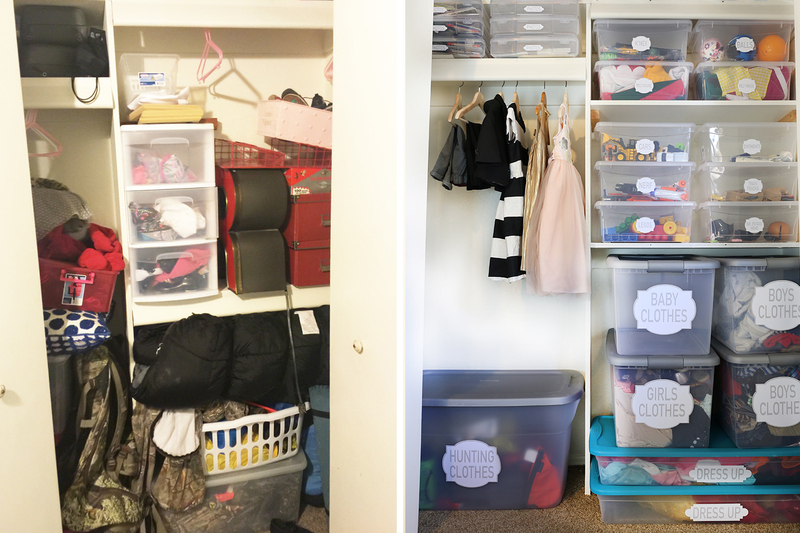 When it comes to space organizing, it’s not just about decluttering or rearranging items. It’s about creating change in your space that will inspire change within yourself. Maybe it’s an improvement in your stress level or a boost in mental clarity. Perhaps it’s a shift in how much time you waste searching for things. Perhaps a change in your home will inspire a sense of pride in it, which will lead to more pride in yourself. I’ve seen these shifts happen in many of our clients lives. 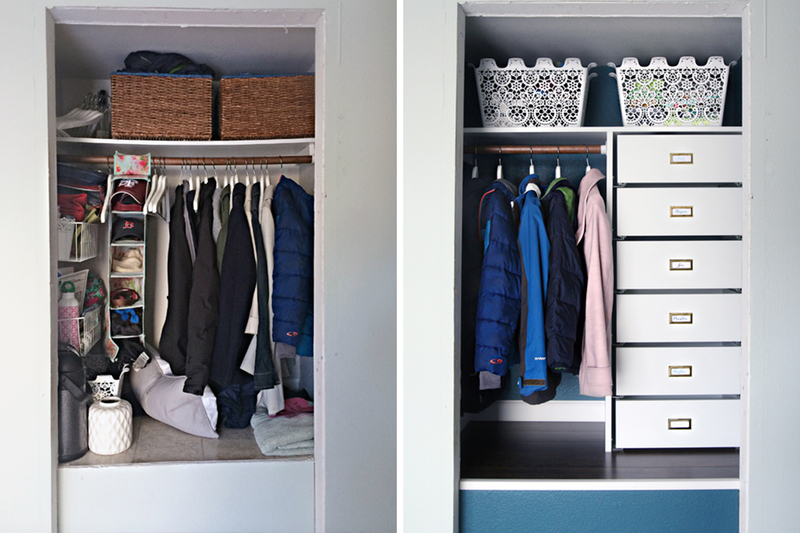 Organizing a closet or kitchen isn’t really about the stuff. It’s about the feeling that a refreshed, organized space can inspire in your daily life. A transformed space has the power to make you breathe easier and sleep sounder. 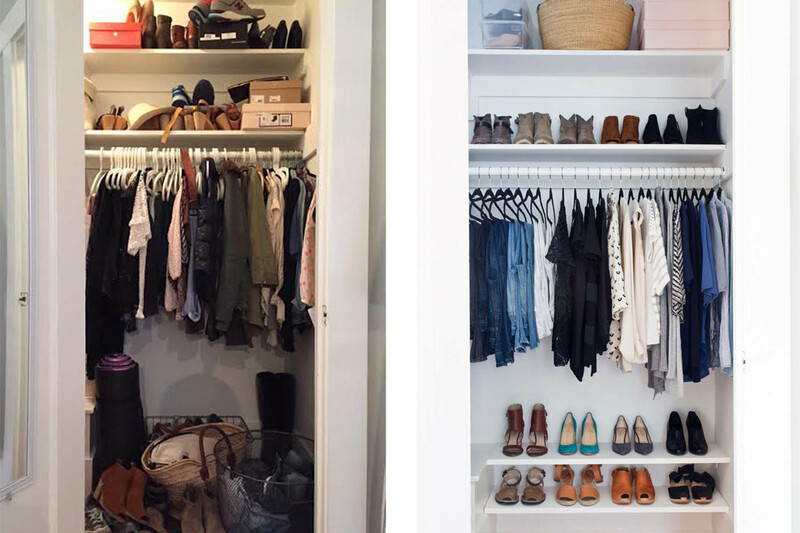 Since y’all responded so well to our last ‘before & after’ post, today we’re sharing our top 10 favorite closet makeovers from our favorite bloggers and organizers. Our hope is that these space transformations will give you some fresh strategies for maximizing your storage spaces, inspiration on the power of decluttering, and motivation to roll up your sleeves and get it DONE!